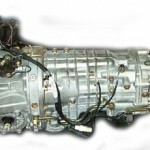 The common causes for overboost or underboost: This is a basic guide on the possible causes and some solutions to those causes of a overboost or a underboost situation in a turbocharged subaru. 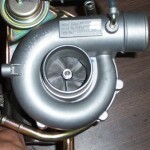 Overboost and Underboost Subaru common causes: Turbo Subarus: Common Overboost and Underboost issues with Turbo Subarus. 1.) Decat + High flow induction – Cure: Reduction of the solenoid duty cycle or alteration of restrictor size will help return boost output to its normal level. 2.) 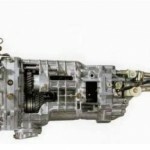 Split, poor fitting, or disconnected pipes – Cure: Replace or refit pipes, the pipes that will cause this issue are between the wastegate actuator, solenoid, and the turbo. Including up to the restrictor on the return pipe of the 3 port solenoid. 3.) Manual Boost Controller – Electronic Boost Controller set too high – Cure: Don’t be so greedy and back the boost duty/adjuster off to a safe level. 4.) Restrictor Pill not fitted / size incorrect – Cure: Ensure restrictor pill is fitted (3 port) if so on a 3 port reduce the restrictor size and on the 2 port increase the restrictor size to reduce the boost to a safe level. 5.) Clogged 3-port solenoid: It is possible that the flow of air through the 3-port solenoid could be restricted between the turbo outlet port and the wastegate actuator port if the solenoid is very dirty (usually oil vapor from the intake system), this allows the wastegate to remain clamped shut longer than it should be causing a potential overboost situation. 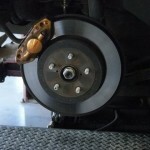 Cure: Clean with carb or clutch/brake cleaner. 6. )Loss of solenoid funcation: Although this is not bverboost it shows itself with very simmilar symptoms, its an interesting scenario. It is possible for the solenoid to fail or even stick shut while under boost. This will result in a rapid reduction of boost pressure to wastegate pressure approx 0.5 BAR. So if you were running at full boost 1.0 BAR for example and the solenoid was to fail shut it would feel just like overboost as the wastegate rapidly opens due to the solenoid blocking off the spill from the wastegate. Cure: Either clean the solenoid with carb or clutch+brake cleaner or replace the solenoid. 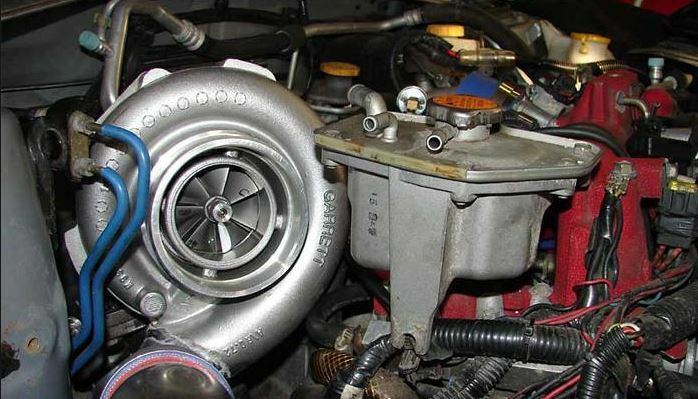 Boost creep is a situation where your wastegate port is not large enough to allow the exhaust gas to bypass the turbo. What happens is the exhaust gas will choke the wastegate port preventing further gas flow through the port. Then, the exhaust gas has to take the path of least resistance which is through the turbine of the turbo. This will spool the turbo ‘uncontrolled’ beyond your normal controlled max boost level. 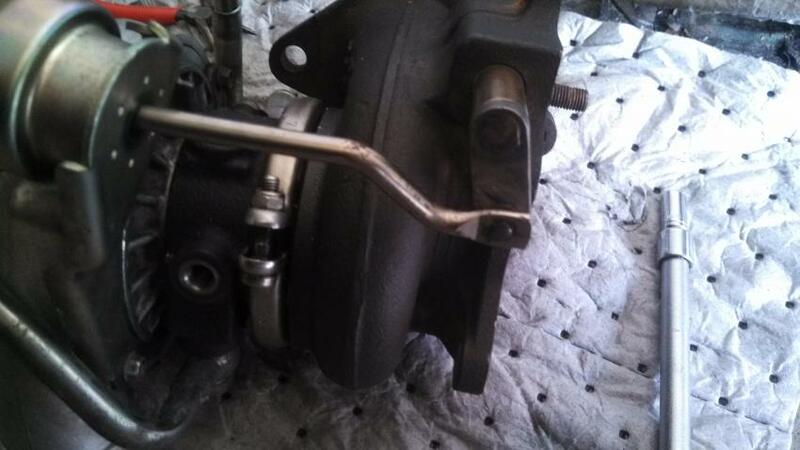 Wastegate and Boost Creep FAQ: A stock Subaru turbo. The turbo will be spooling past wastegate spring rate pressure even though the wastegate is fully open thus it is uncontrolled. The best way to check for boost creep is to connect the turbo outlet port directly to the wastegate actuator port and go for a drive. In 4th gear you should normally get a stable boost level of about 0.5 BAR, if you have boost creep the boost will hit 0.5 BAR and will continue to rise with rpm until you either back off or hit overboost fuel cut. Boost creep should only be present on a turbo that has very little restriction. For example a fully de-catted and high flow induction. It’s been found that the fast spooling IHI VF35 is very prone to boost creep. The cure is to remove the turbo and enlarge the wastegate port. Then, fit a stronger actuator 0.75 BAR the reason for this is because you have made the wastegate port larger. 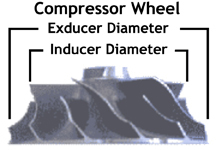 The effective size of the wastegate plate acting against the exhaust gas flow is larger which allows the exhaust gas excert more force on the wastegate plate. This in effect weakens the effectiveness of the actuator. Before the increase in size of your wastegate port the actuator would open at 0.5 BAR, after the increase the actuator would open earlier at 0.3–0.4 BAR. After these changes are made to the turbo either a boost controller or a remap (to adjust solenoid duty cycle) should be sought to control the boost to a safe level. This guide covers most boost related issues including a short introduction on how your boost systems work. This information is based on the Classic Impreza’s, but will cover the newer WRX/STi cars to a certain extent. 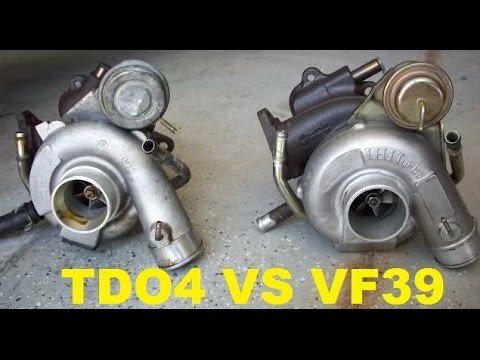 When modding your car without mapping (full de-cat and high flow induction etc) you increase the efficiency of your turbo which could result in engine damage due to lean running at high rpm / max boost. To prevent damage always try and keep your boost level as close to standard as possible until your car is mapped for the increase in boost pressure. TLDR: Don’t screw with your boost levels until you get the car tuned by someone who knows what they are doing. Otherwise you’ll probably end up with a blown up Subaru. 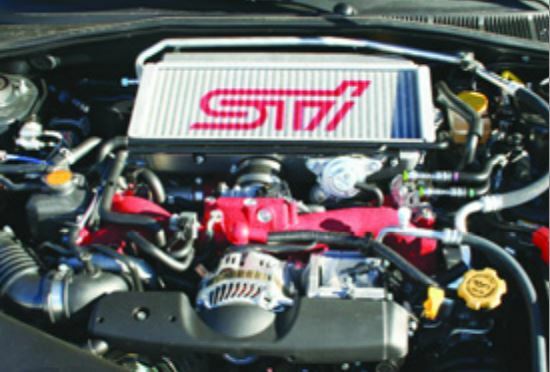 Here is the step by step guide to installing the JDM Automatic Intercooler STi switch. 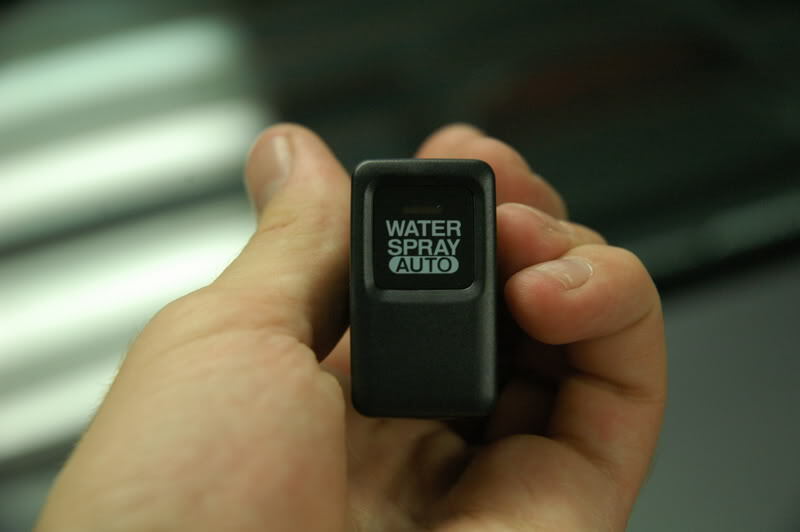 For those of you wondering the advantage of upgrading to the JDM automatic intercooler switch is that it essentially works as a on/off switch for the STi intercooler sprayer. So there is no more constant pushing of the sprayer button. Push the button once to turn it on, and again to turn it off. 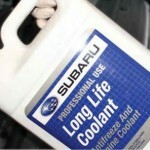 However, it will empty out your intercooler sprayer tank very quickly if you keep it on. 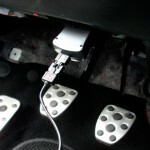 JDM Automatic Intercooler Switch: The JDM intercooler switch that you will be installing. 1.) Pop out the fuse box panel. 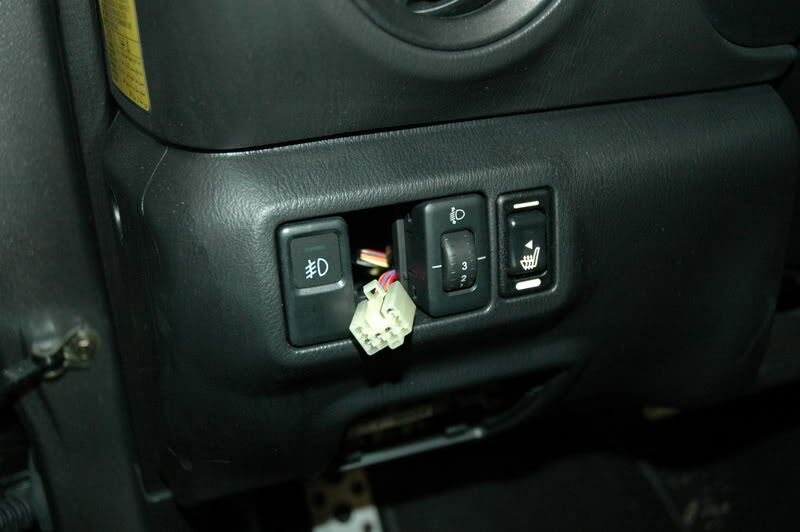 The fuse box panel is located underneath and to the left of the steering wheel. 2.) Use your fingers to depress the tab on the button of the button to pop it out. 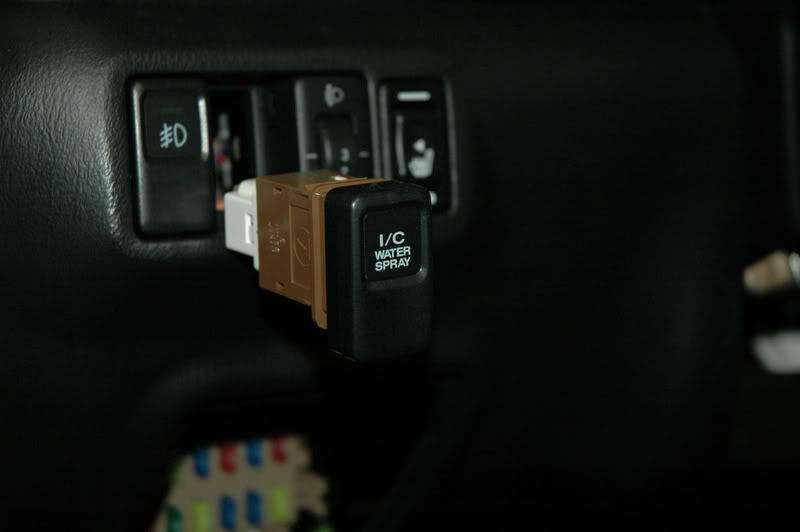 JDM Automatic Intercooler Switch: The USDM stock STi switch that you will be removing. 3.) Pull the switch out of the dash. 4.) Depress the tab on the back of the plug to remove the switch. JDM Automatic Intercooler Switch: USDM STi intercooler switch removed. Get ready to install the JDM switch now. 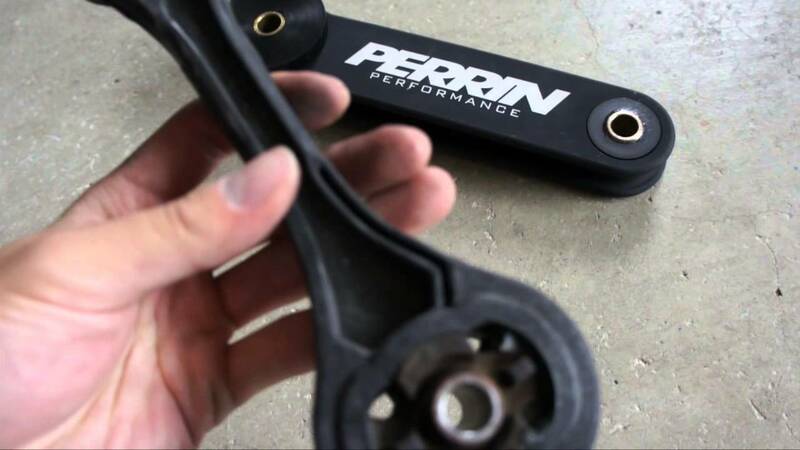 This is a step by step guide on how to install an aftermarket Pitch Stop Mount to your 02-07 Subaru WRX or STi. Pitch Stop Mount: In the foreground a oem plastic pitch mount and in the background a Perrin Performance pitch stop mount. 1.) Locate and remove the three 10 mm Gold colored bolts that secure the black vacuum lines to the bottom of the intercooler. 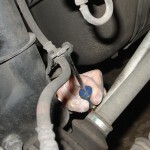 You will need a shallow socket as it gets tight around the BOV. Careful not to drop them into the engine bay, it will be a PITA to find and retrieve them. 2.) 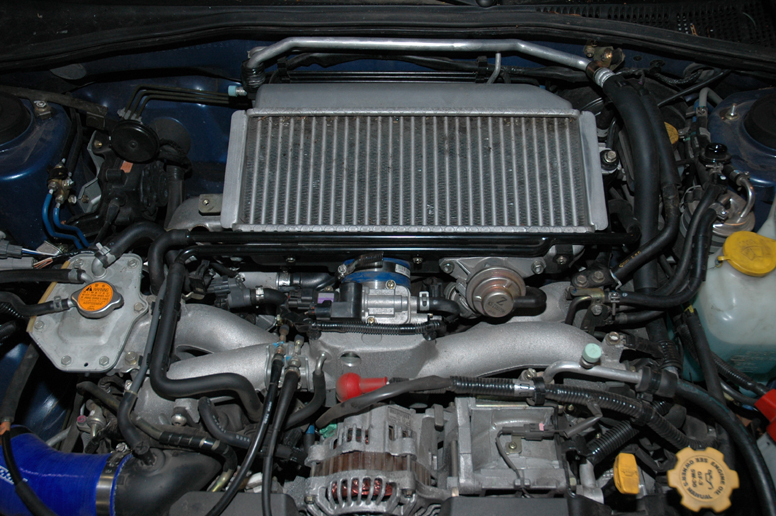 Locate and remove the two 12 mm bolts that secure the recirculating BOV to the bottom of the intercooler. Again be careful not to drop these into the engine bay as it’s a jungle down there and it will be a PITA to retrieve them. 3.) Locate and remove the two 12 mm bolts that secure the intercooler to the engine. These are located one on each side of the intercooler. 4.) Now the intercooler is only held in place by the rubber intake hoses with the clamps. 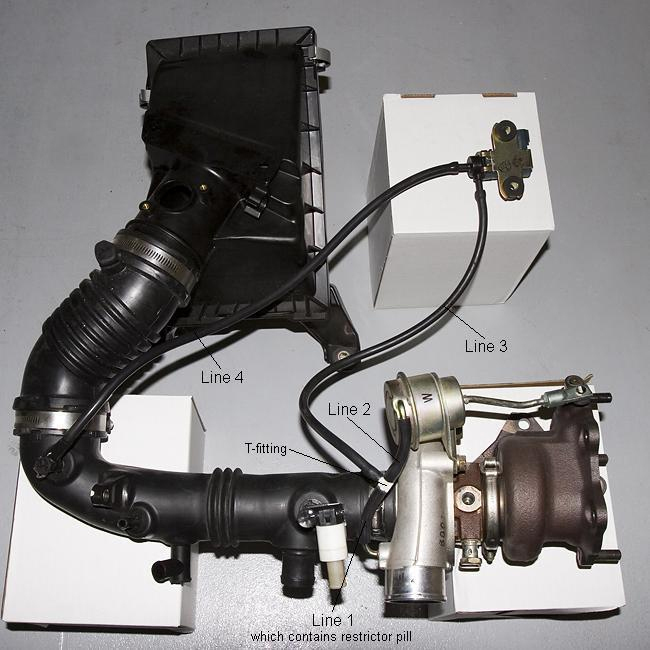 The one that is on top, from the intercooler to the throttle body/intake manifold is easier so do them first. Using the Flat head screw driver or an 8 mm socket loosen the clamps holding the intake piping to the Intake manifold and intercooler. And leave it for now. 5.) This is a little tough to do, but its not impossible. You should be able to do it even if you have large hands. Using the flat head or 8 mm socket, loosen the clamp that holds the intake tube coming from the cold side of the turbo to the intercooler. This is located underneath the intercooler.